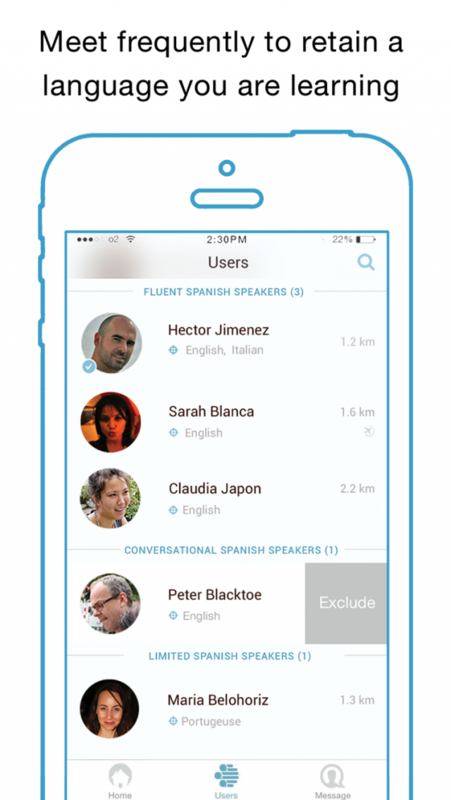 Idyoma connects you with other language learners around you. Learn languages through conversation. Have fun meeting new people. Meet often to improve fluency. Save money on expensive textbooks. 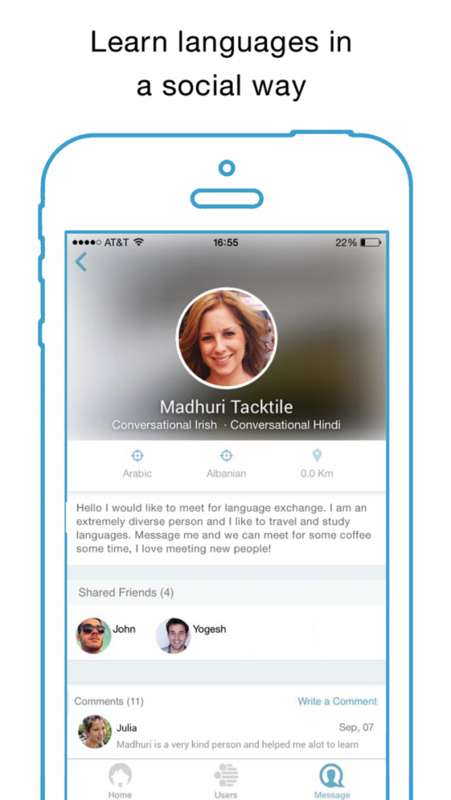 Whatever language you speak, connect with others through the app instantly and start chatting. Starting in Seville, Spain, the Idyoma community is growing and helping more and more people achieve fluency. It’s easy to dive straight in and start discovering other learners around you. Choose up two languages you want to practice. Then choose up two languages you already know and the level how well you speak those languages. Browse through local users by clicking the ‘Users’ button on the bottom tab. 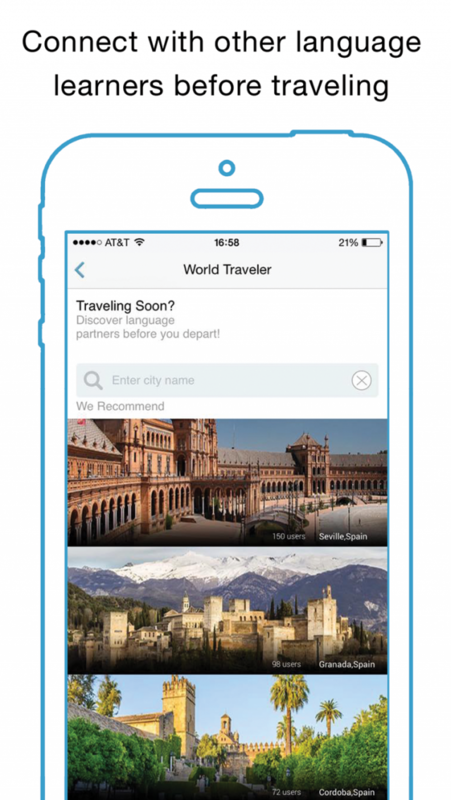 Click on a user to enter their profile. Read their description, comments made by previous language partners, and then check their distance and if you share any mutual friends. Click the envelope button to start chatting. Here you can organize a meetup. Take advantage of the invite functionality if you’re struggling to coordinate the meetup.